Meghan Markle’s Engagement Ring Is Everything We Expected–And More. As Prince Harry and Meghan Markle made their entrance to greet the press in the sunken garden at Kensington Palace to announce their engagement, their happiness was palpable–as was the elegant silhouette and size of Markle’s new and stunning engagement ring. Prince Harry is said to have designed the ring himself for his future bride. 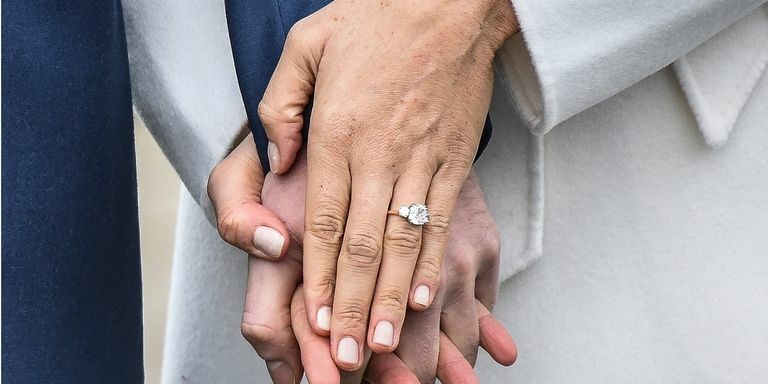 The two side stones for the ring were taken from a brooch of Princess Diana’s, “to make sure she’s with us on this crazy journey together,” Harry remarked in the couple’s first interview as an engaged couple with Sky News, while the center stone was sourced from Botswana, a nod to where they first vacationed as a couple. In the interview, Harry mentioned that soon after meeting Meghan, he persuaded her to join him in Botswana for a camping trip to get to know her without the cameras or their friends watching. He credited that quality time as bring crucial to their budding romance. It seems that Harry did not take as many style risks with Meghan’s engagement ring as his elder brother did with his choice for the Duchess of Cambridge, opting for a classic, all-diamond choice rather than a colored stone. The ring appears to feature a cushion-cut center stone with Diana’s two round-cut diamonds flanking it on either side. The stones are set on a yellow gold band, which Harry noted is her favorite. When asked when he knew Markle was the one, Prince Harry remarked, “the first time we met,” while Markle smiled through her first formal appearance with her husband-to-be. 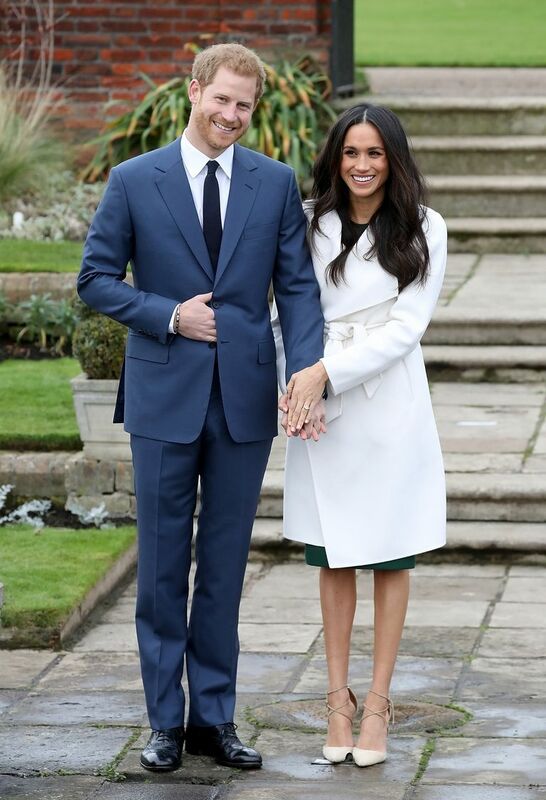 Markle, appropriately, donned a bridal ivory trench coat over a simple emerald-colored dress for their official announcement. 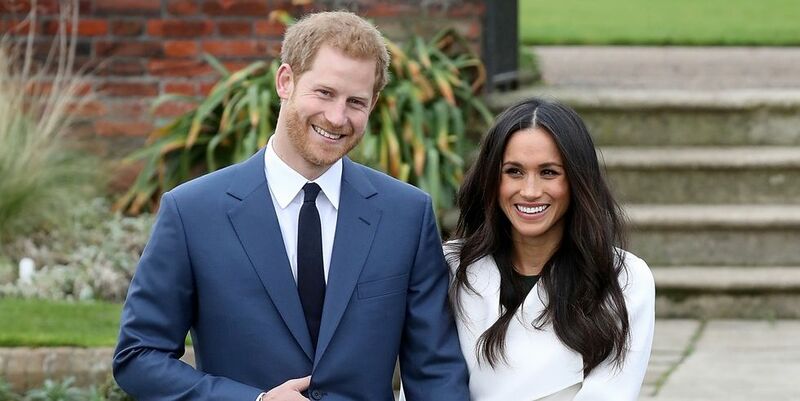 The couple are expected to wed in the spring or summer of 2018–and we look forward to the many shots of the bride-t0-be’s engagement ring and royal-to-be attire as the date nears.